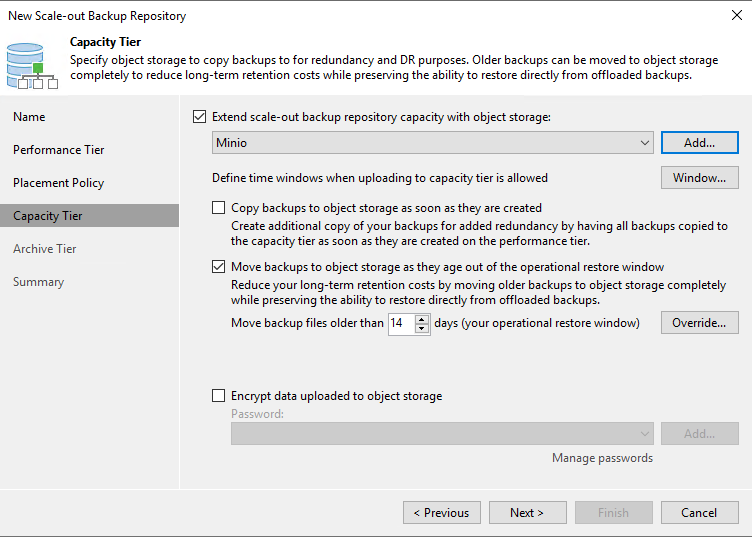 As suggested previously, it’s preferred to use a Windows or Linux server as a backup repository so a proper Veeam data mover service can be deployed on the repository machine itself. With this service properly deployed and running, all read and write operations are delegated to this service and all the available compute resources can be used by the data mover deployed locally on the backup repository. This server will ultimately act like a proper repository machine. If Automatic selection is left as the default option, inconvenient selection like the VBR server itself may be done. 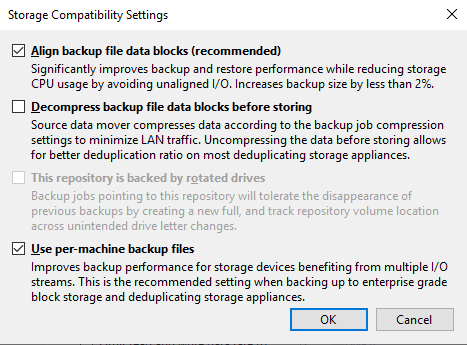 There are several design choices for a backup repository, and to list them all here will be simply impossible because many will be surely left out. Instead, this guide will describe two options: multiple Windows Server grouped together in a SOBR group, and a standalone Linux Server, both with local storage. 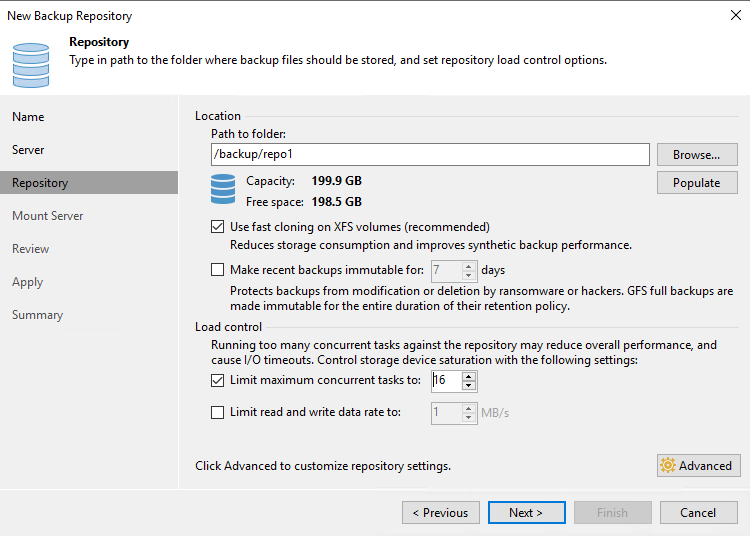 This is not intended to suggest these are the best storage solutions; it is mostly an example to better describe the process of adding a backup repository to the Veeam Cloud Connect infrastructure. The entire management of a Linux repository is done using SSH. Because of this connection, the Veeam Backup & Replication server deploys a runtime component every time that starts the Veeam Data Mover using Perl (the only other requirement together with SSH), then transfers data using the usual Veeam ports 2500 to 5000. Once the Linux server is added among the managed servers, the configuration of a new repository follows the usual process. A typical Veeam Cloud Connect customer will be limited by the upload bandwidth that is available; this will be the main bottleneck in most of the use cases. However this does not mean it will be the primary bottleneck for the service provider: because the service provider is accepting several concurrent connections, the number of concurrent tasks connecting to the repository could be notable. For this reason, a service provider needs to check the performance of a given storage solution, and needs to have room for enough concurrent connections so that customers tasks are not depleting the available resources. Please refer to chapter 2.7 and the "concurrency" paragraph for deep knowledge about how concurrency works in Veeam Cloud Connect. Because vPower NFS is not supported to date in Veeam Cloud Connect, a service provider can safely disable the configuration of this component during the repository creation wizard and complete it. 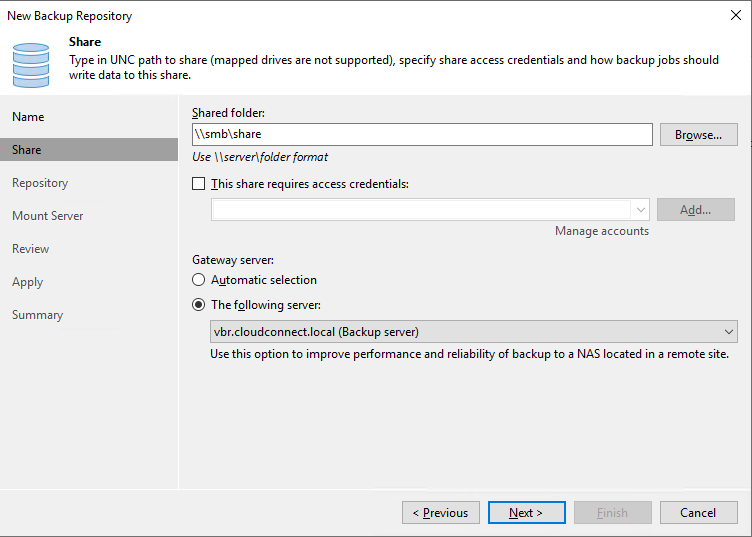 You can disable last two rules and enable them only when a new Veeam component needs to be installed or upgraded because Veeam uses SMB shares to deploy the installer packages into remote Windows servers like WAN accelerators and Windows-based repositories. 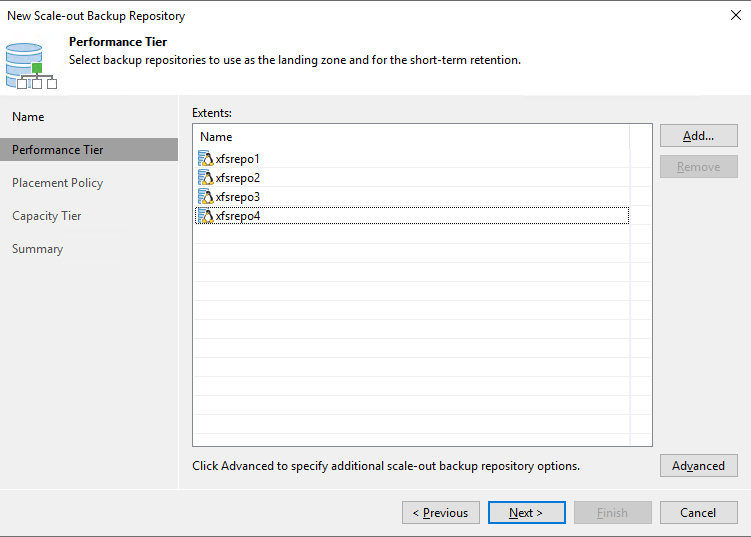 Once the Windows server is added among the managed servers, the configuration of a new repository follows the usual process. 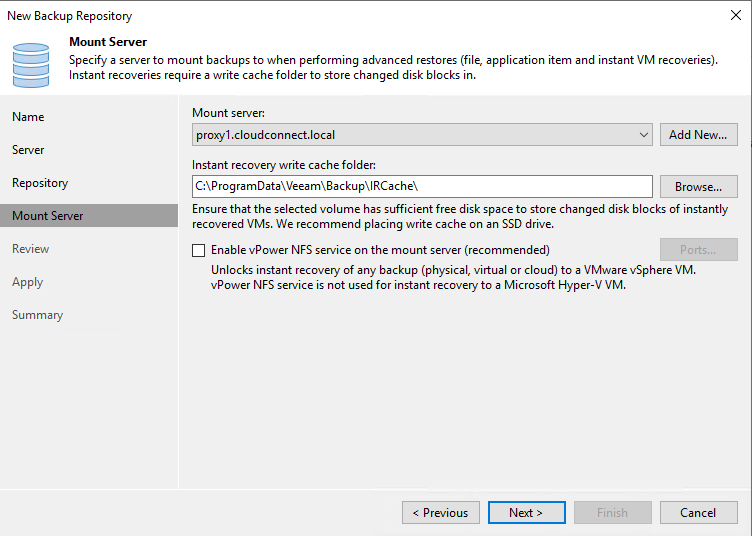 Finally, because vPower NFS is not supported to date in Veeam Cloud Connect, a service provider can safely disable the configuration of this component during the repository creation wizard and complete it. 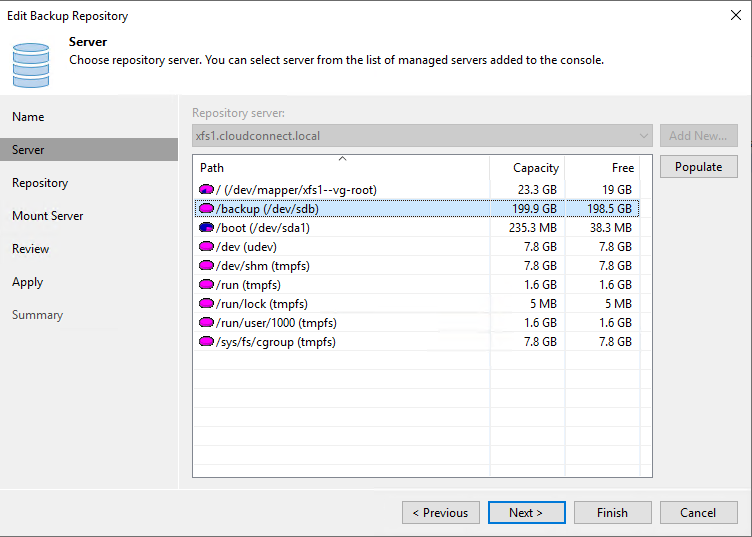 Once the backup repositories are deployed and configured, Veeam Cloud Connect is ready to be consumed for backup services.